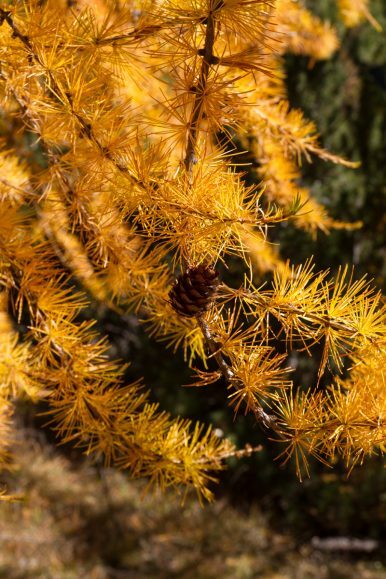 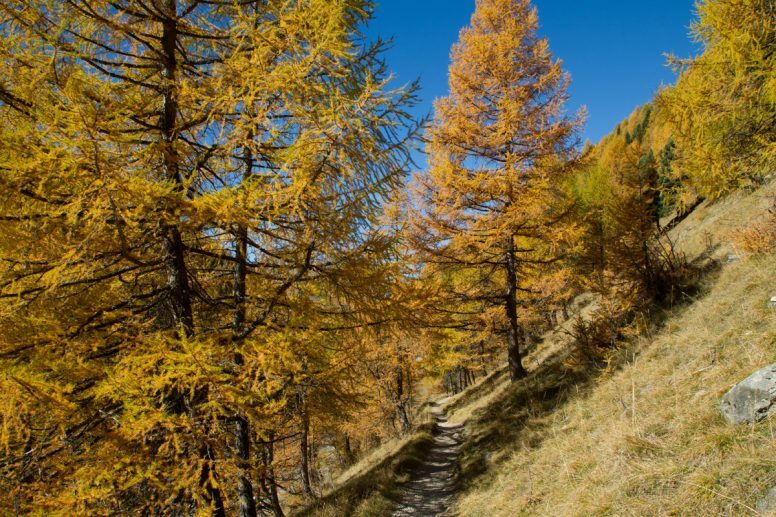 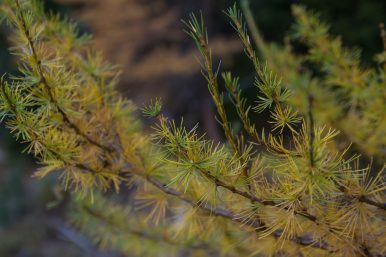 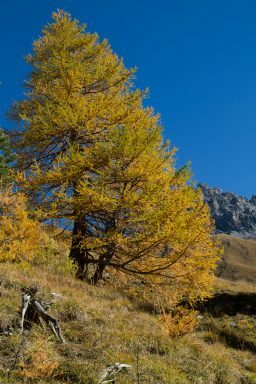 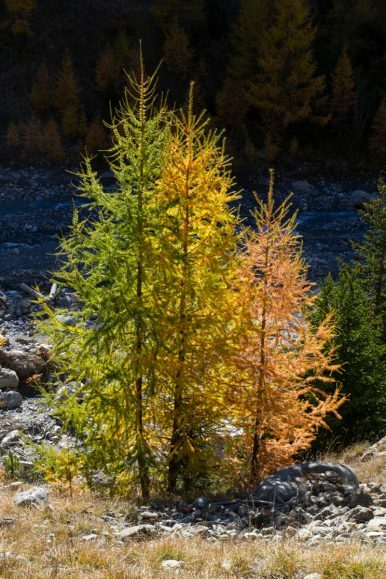 One of my goals for each year is to see the larches in autumn. 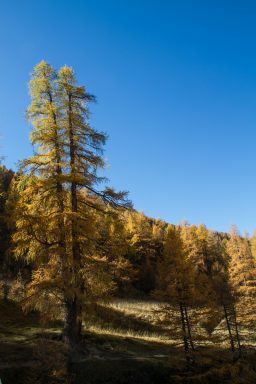 I love the way they turn a beautiful golden color, and if the sky is blue they really shine. 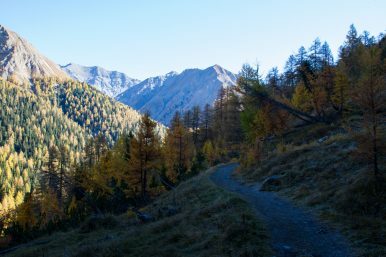 The past times we’ve gone for a weekend or a week-long hike, there has been snow in the mountains. 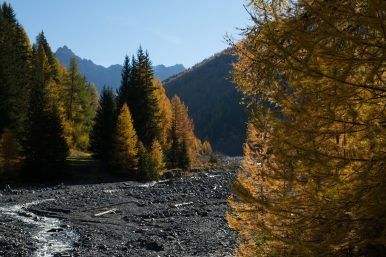 But this year due to the very dry summer, there wasn’t a speck to be seen, the rivers were worryingly low and even the moss felt dry to the touch. 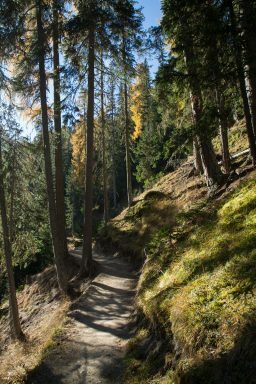 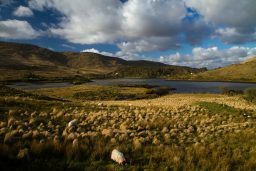 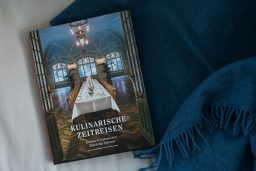 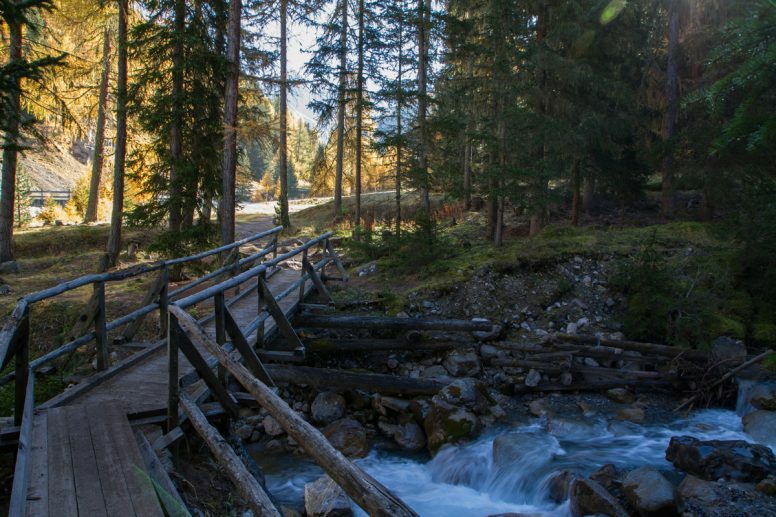 I was interested in a hike I could do in a day and came across a suggestion for Val Trupchun. 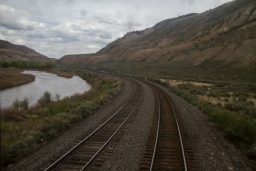 The photos mesmerized me, and I immediately picked out a train connection for the upcoming weekend. 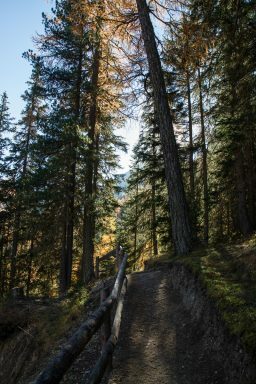 The hike was beautiful and although there were several other hikers, at no time did it feel crowded. 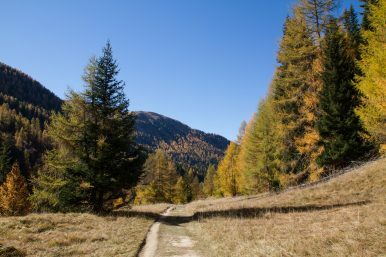 Most of the hike is within the National Park so it is vital to stay on the path. 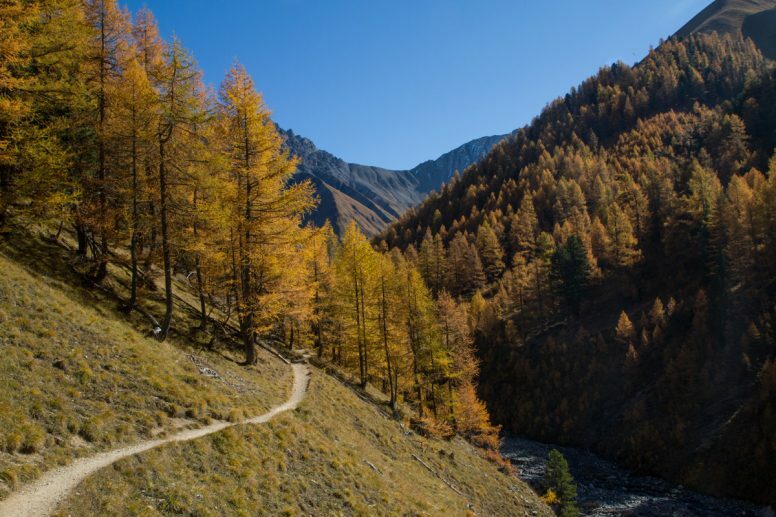 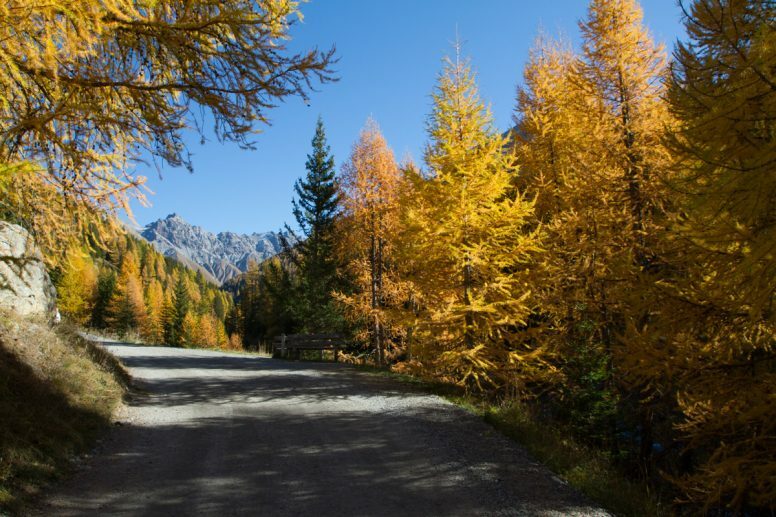 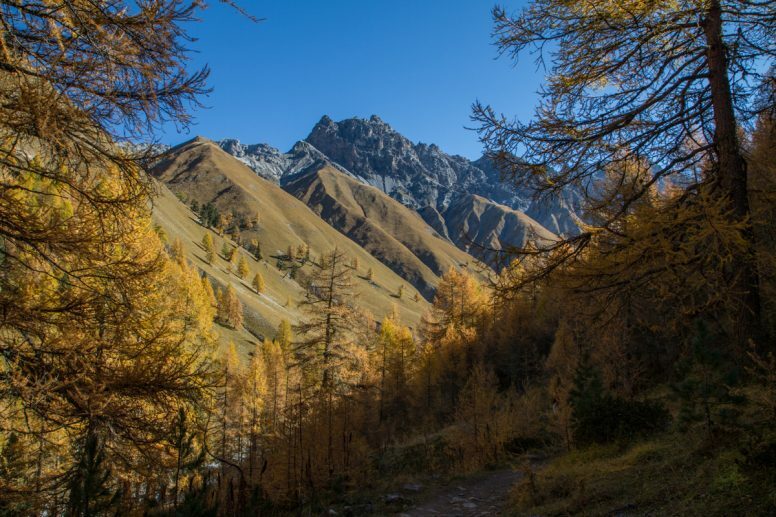 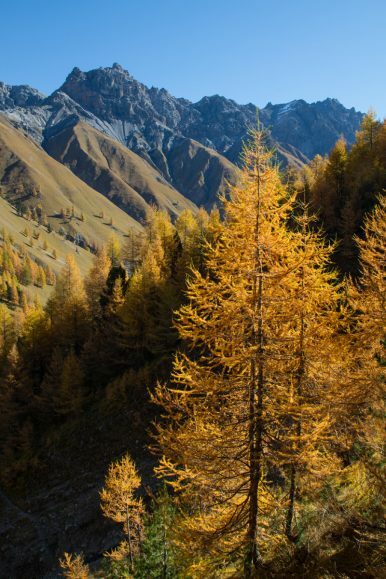 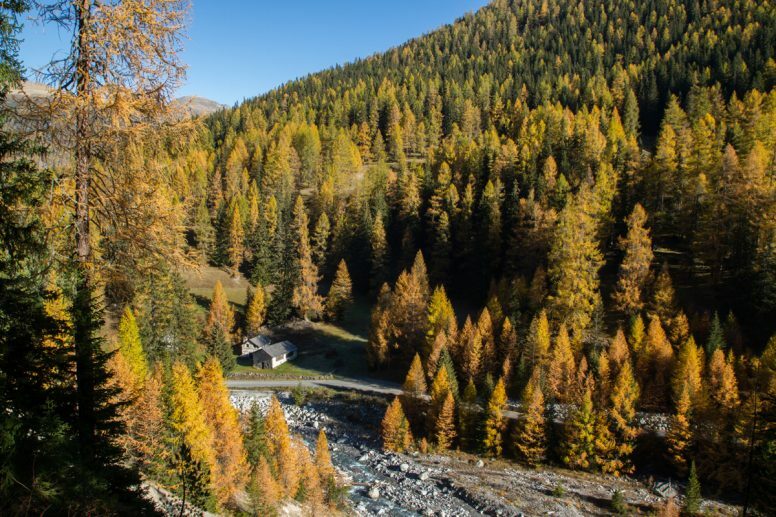 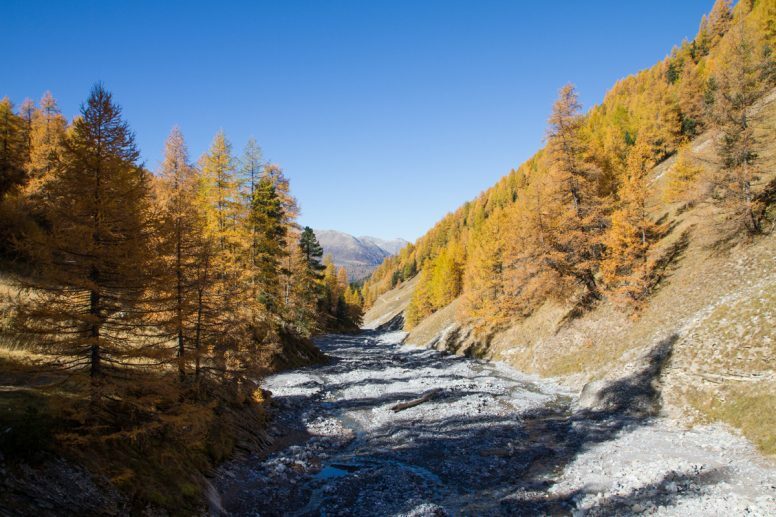 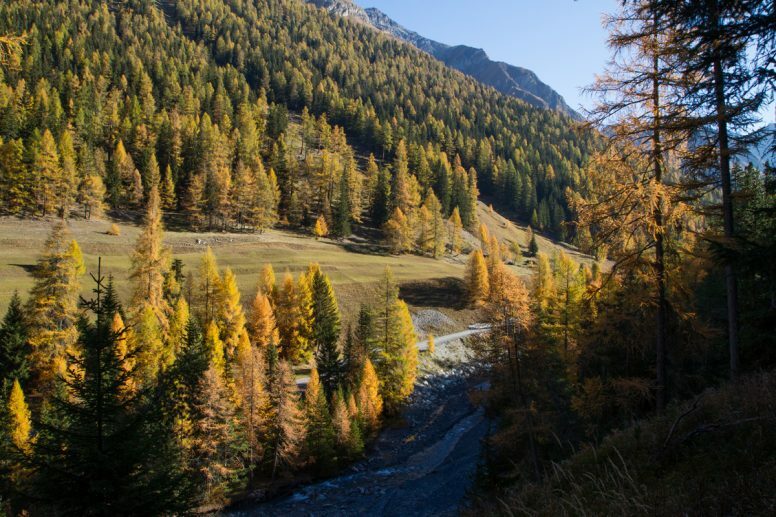 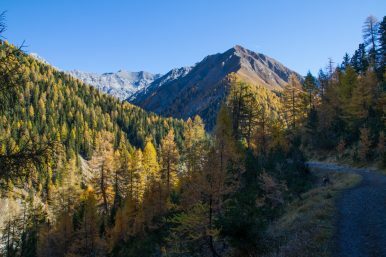 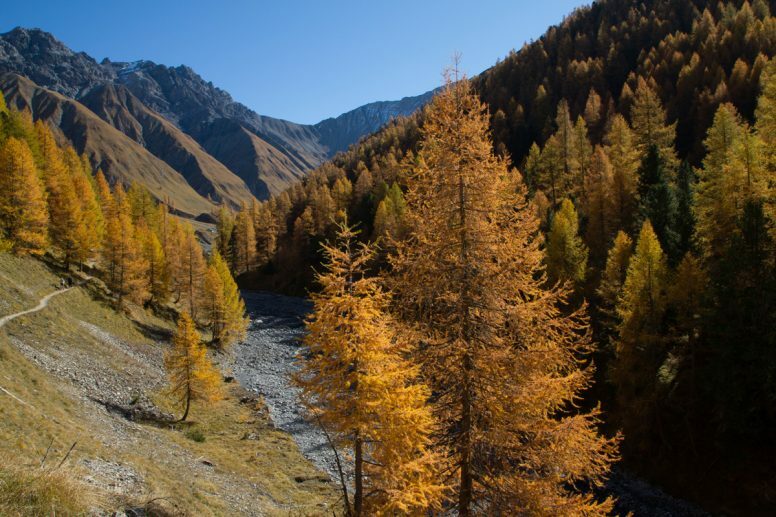 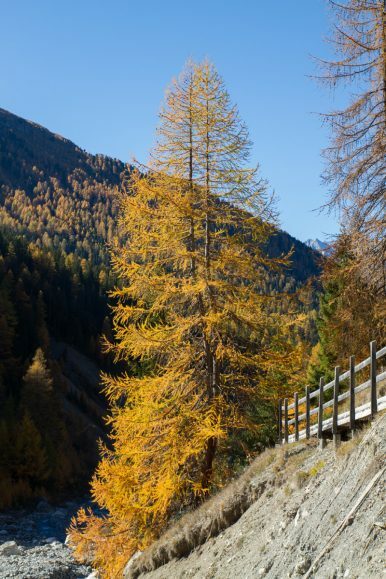 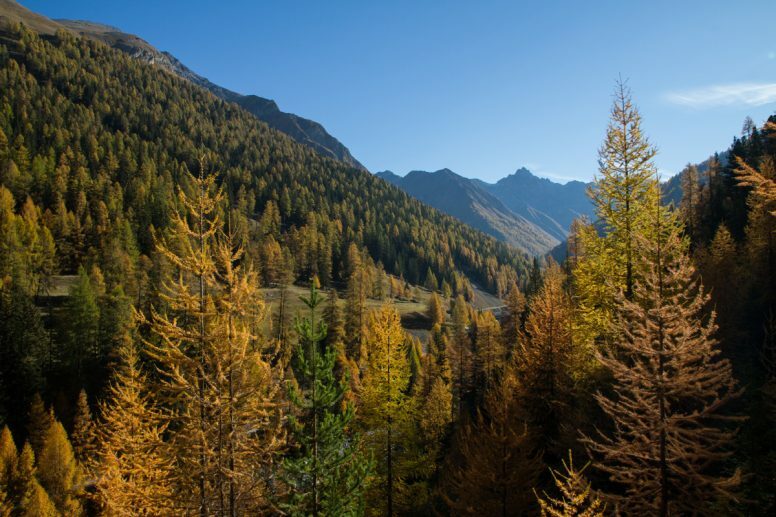 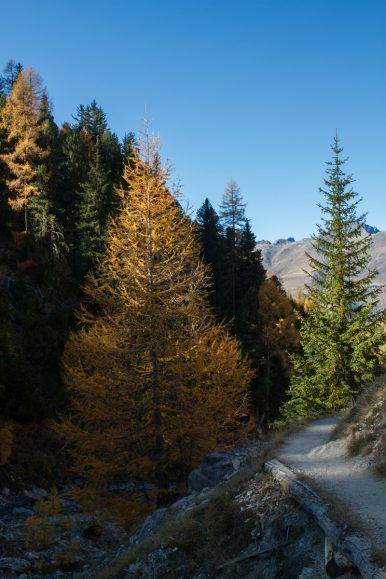 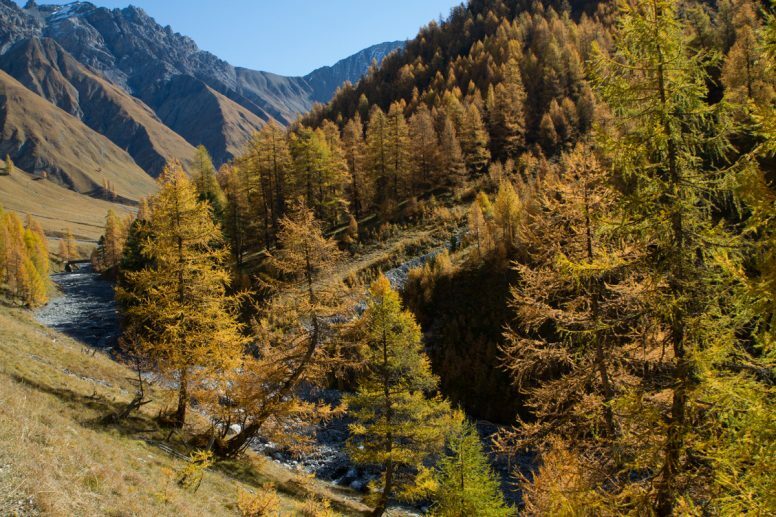 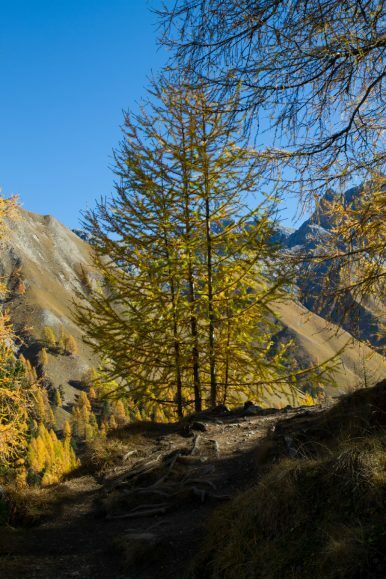 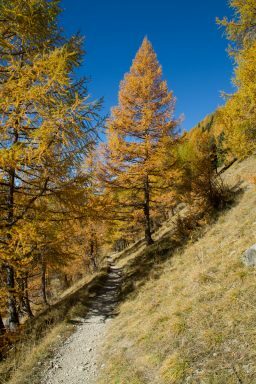 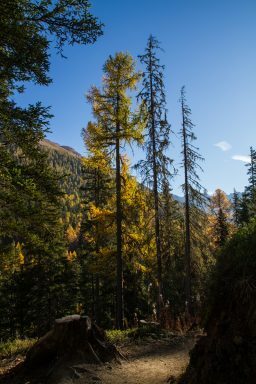 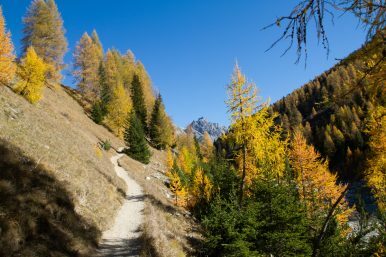 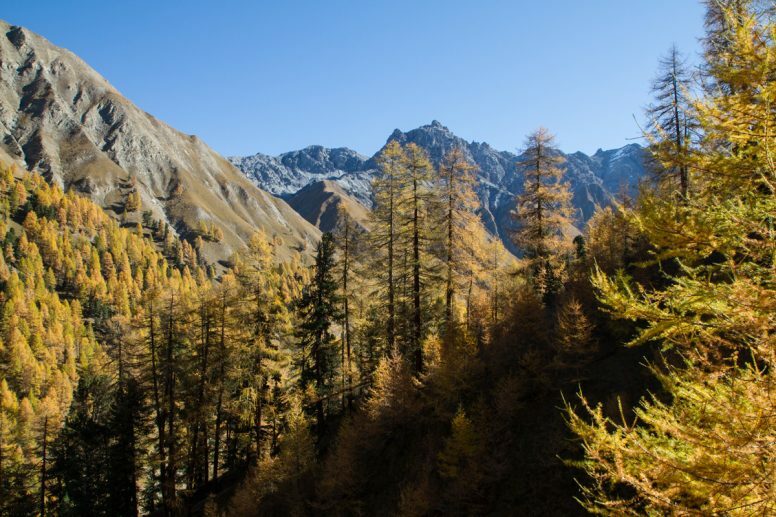 The air is clear and the larches cast a constant golden glow. 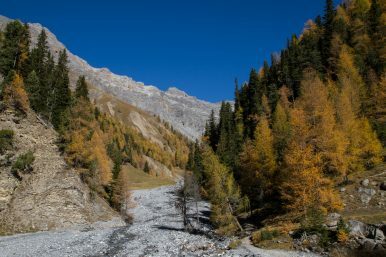 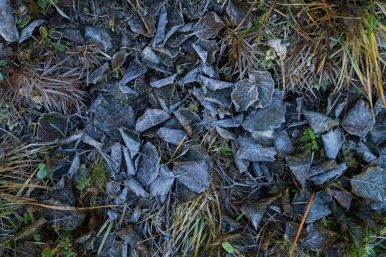 The rugged alpine landscape is very different from the softness of the deciduous trees found in the Thuringian Forest we had visited a few weeks earlier.